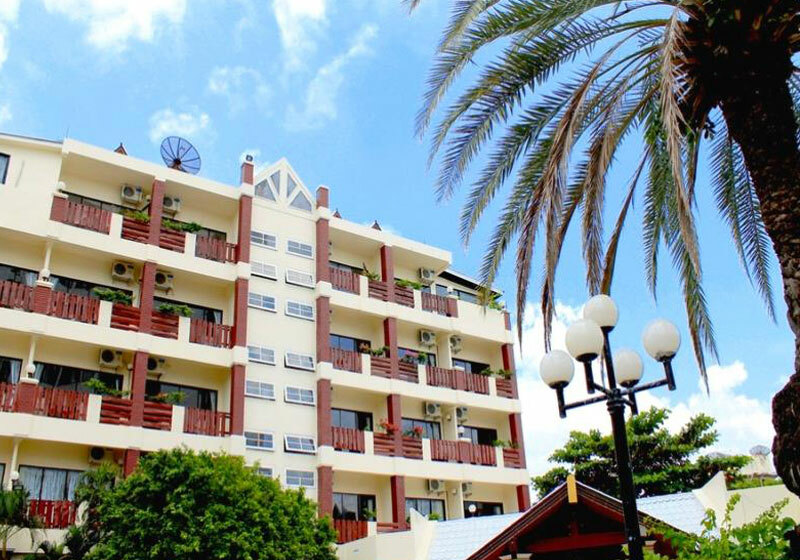 Located on the less hectic Jomtien Beach, Mermaid’s Beach Resort is only 10 minutes away from Pattaya‘s city center. The location is a great halfway point between the tourist necessities of the town, including currency exchange, the post office, English speaking doctors, and the relaxation of a beach vacation. Interiors are stylishly designed and feature subtle, yet classy, decor. Guests can choose from single, twin, and triple rooms, and all rooms are facilitated with an en-suite bathroom, satellite TV, and in-room safe. Guests can also make use of the hotel’s restaurant, bar, pool, and library, and complementary Wi-Fi internet access is available in public areas. Short Description: Located on the less hectic Jomtien Beach, Mermaid's Beach Resort is only 10 minutes away from Pattaya's city center. The location is a great halfway point between the tourist necessities of the town, including currency exchange, the post office, English speaking doctors, and the relaxation of a beach vacation.